Life can take many turns and people's future can always be tied in some way to others. But in the case of this pair of children, that was something literal because their lives depended physically on their sister. It's been over a year since their surgery and we'll tell you their story. 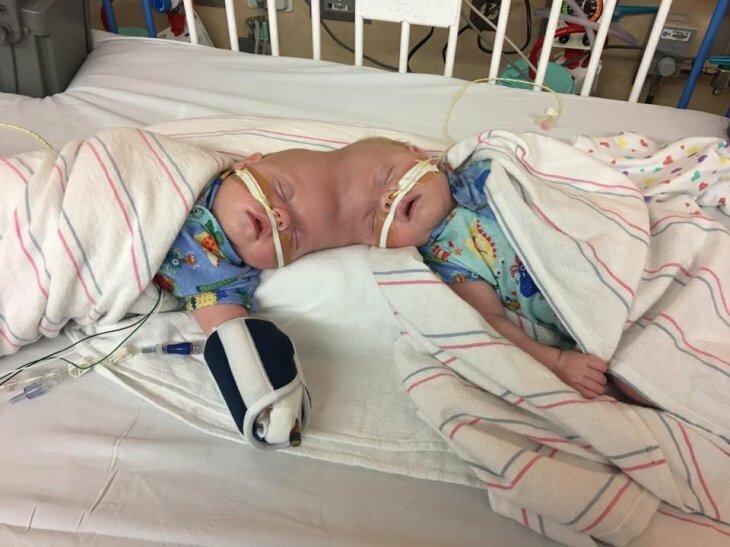 On June 6, 2017, this pair of conjoined twins underwent surgery to separate their bodies, and this changed their lives so that each one has a better life opportunity and grow independently and satisfactorily. Today, those babies live a happy life with their parents. For the joy of their parents, the operation was a success and allowed them to provide their little daughters with a different future. 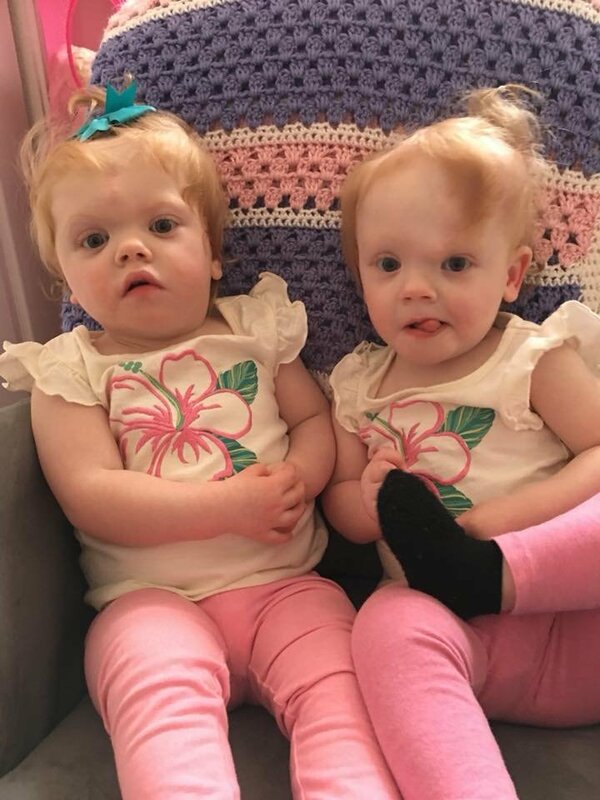 Abby and Erin Delaney were born together by the head on July 24, 2016, 10 weeks premature and weighing 2 pounds and 1 ounce each. During the months after their birth, the twins had to spend many hours and days in the hospital to undergo several surgeries to take care of their health and separate them properly so that they could live their lives separately and happily. 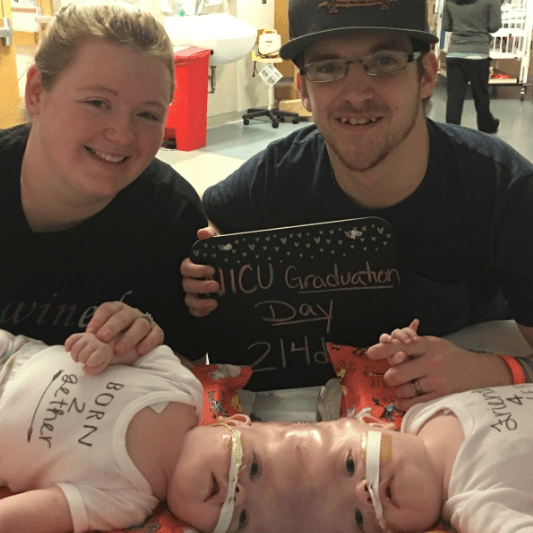 The operation was finally done a month before the twins celebrated their first birthday, at the Children's Hospital of Philadelphia, and it was a success. It took a team of 30 people and an approximate of 11 hours in the operating room to achieve the goal. Several months after the operation, the sisters who previously had many difficulties to move and develop their mobility on their own, could now sit alone, roll around in their sleep and even crawl happily without any problems. 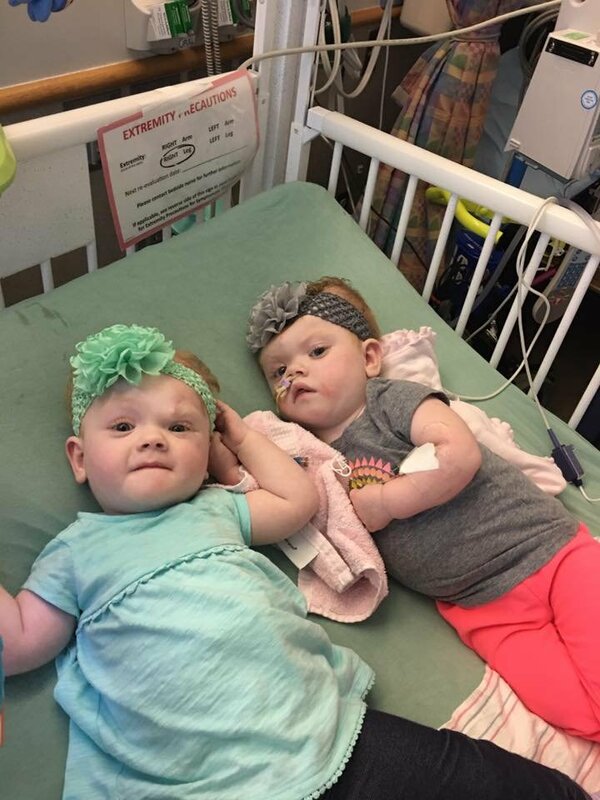 The parents of the girls, Heather and Riley, admitted that getting their daughters to this point was a very difficult journey that involved many difficulties and problems. However, they were very happy to see everything their daughters could do now thanks to the operation. In some statements to the media, Heather was very grateful to the hospital staff and the doctors who treated their daughters and were present with them every step of the way to make the operation a success. The family stated that they were very grateful to all the staff at the Children's Hospital of Philadelphia for their hard work, as well as all the support and encouragement from their family, friends, and community that were present throughout the trip. Dr. Jesse Taylor, one of the reconstructive surgeons who participated in this operation, stated that the younger they are, the faster children heal and recover from operations. In the particular case of the Delaney sisters, their chances of recovery were greater. 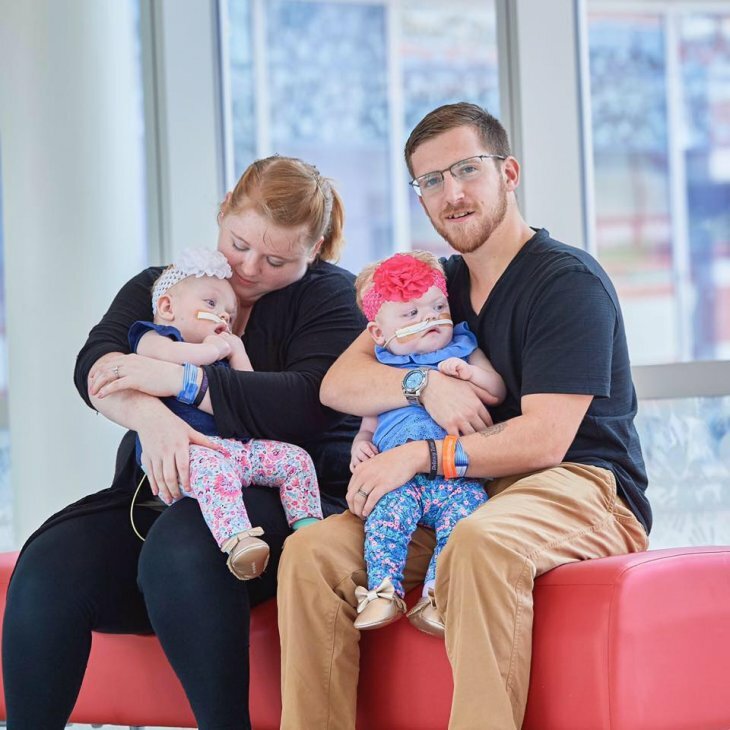 The team of doctors and surgeons of the Children's Hospital of Philadelphia had as the objective for the sisters, Erin and Abby, to achieve the operations as soon as possible after their birth to make sure that they could recover quickly and satisfactorily. 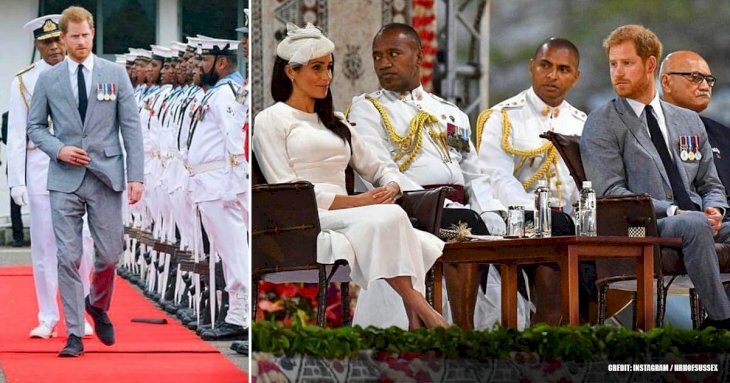 The parents of these girls have kept their fans and followers informed about the growth and development of the girls through their Facebook page where they share daily photos, videos, and publications about the lives of the sisters. It has been a long and complicated journey that the Delaney family has gone through, but they themselves declare that it has been worth it because they have given their daughters a new life. Also, girls are growing up to be happy and prosperous, and that's all their parents wanted. Did you know the story of this pair of beautiful girls? 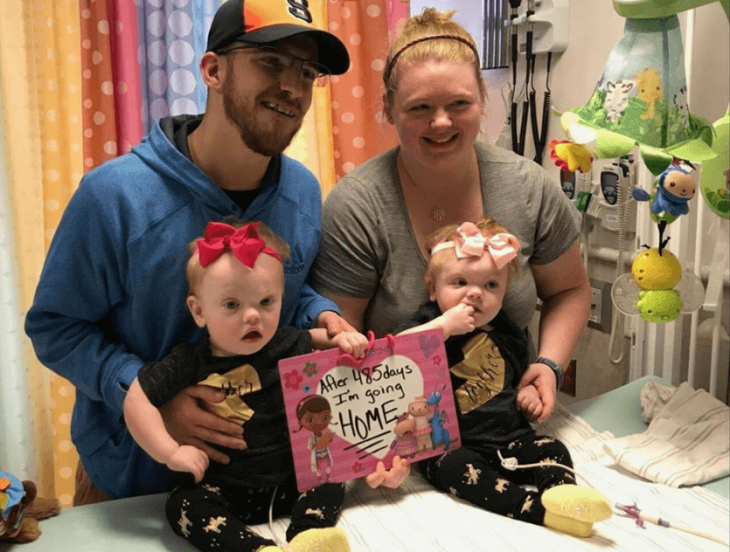 It was one of the first craniopagus separation surgeries ever recorded at this hospital and will allow this pair of girls to develop a full and happy life on their own. With the support of all the people who knew their history, the work of the medical team of the Children's Hospital of Philadelphia, and a beautiful family that will support them the rest of their lives.